11oz white coffee mug. 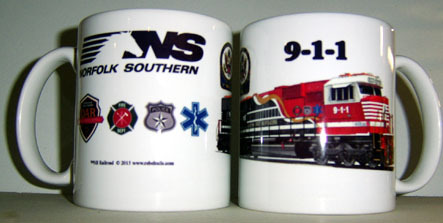 Coffee Mug featuring the Norfolk Southern Railroads beautiful bright and colorful 911 diesel You just might hear a siren when you use this mug. 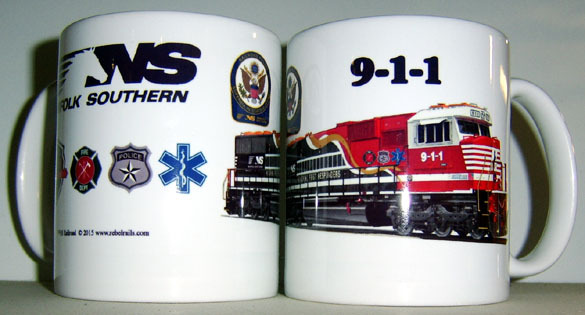 Logos representing America's first responders, Fire, Police and First Aid are included on the back of the mug. Click on above image for zoom.